I don't get it and I'm sorry! Let me first stay that the narration was very good and I'll look for more of it by Carl Reiner. 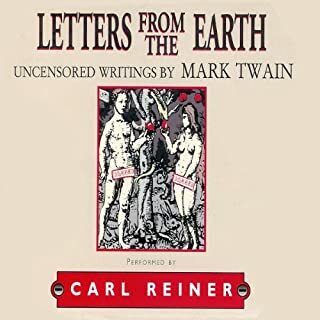 That being said, and knowing that this was written at some very low times in Twain's life, it felt to me like nothing more than a rant against God. It was beautifully written and spoken, but a rant nonetheless. I see that some reviewers have said they will try it again later, but I won't be doing that. I either didn't "get it" or did get it but didn't like it. SO sad about this because I LOVE all other of his work I have read/listened to. If you don't want your bubble burst you will pass this one up. It has certainly not soured me on Twain and I will read him again, but not this. I knew him to be a skeptic before this, but this just wan't to my taste. 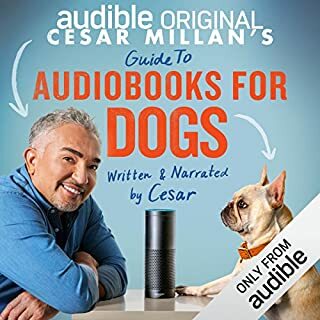 Cesar tries to help us more clearly understand our dogs. Good insights on why dogs do things and what we can do to help our dogs not feel so stressed when they're away from us. 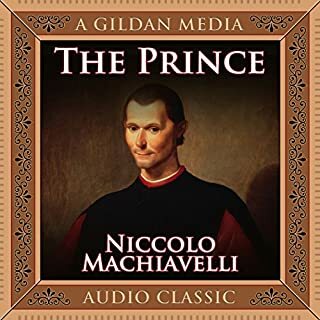 Our two dogs like radio and want to specially loves TV but I'm thinking audiobooks are a better fit after listening to this. In depth-no. But a GREAT place to start! 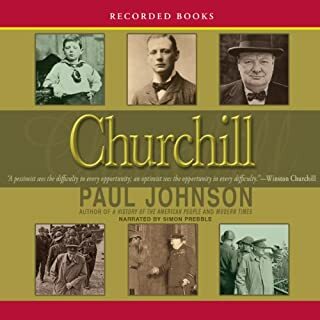 Several reviewers have panned this as "not detailed enough" but I would call this is a starter book on Churchill. If you want detail, do the 3-part The Last Lion by Wm Manchester. This gives you the "flavor" of Churchill without being heavy handed. I had already done Manchester's 1st volume & love the detail & depth, so this seemed a little lightweight to me, but was very informative, all the same. If someone is unsure how they feel about a large tomb about someone they don't really know, start here. The performance of the narrator was excellent! 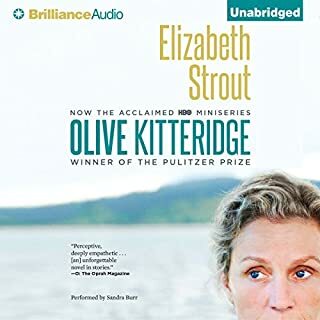 At times stern, at other times patient, at times perceptive, at other times in sad denial, Olive Kitteridge, a retired schoolteacher, deplores the changes in her little town and in the world at large, but she doesn't always recognize the changes in those around her. We are, none of us, what we seem to ourselves. What did you love best about Olive Kitteridge? I loved that I eventually came to appreciate Olive - she was very irritating a first, but through the stories, I came to see that she was hurting, though I never fully understood from what. She was never an easy character to like, but I did come to appreciate her. If you had asked me early on, I would have said Henry, but really, it was Olive. There was a LOT of good there, and even kindness, but she almost never showed it to anyone and when she did, she hated that she had let it outside. In a way, the fight with Christopher when she went to see his family. It really brought home how differently she saw herself from what she projected and what she was. I did occasionally laugh, but never cried, though I supposed I should have cried for Olive a time or two. I was very taken with the language, the turn or phrase, the lyrical beauty of the whole book. I have seen many comments both here and on other sources that pan the narrator. I have to say that I felt she did a wonderful job of the "Maine" accent and she did NOT over do it. I also feel compelled to say that if you don't do well with heavy accents/dialects, read it, don't listen to it. I feel the criticism is unfair to the book and the narrator. Anyone who lives in Maine or has been there will understand this. Anyone looking for a balanced telling of this story will appreciate the setting of context. 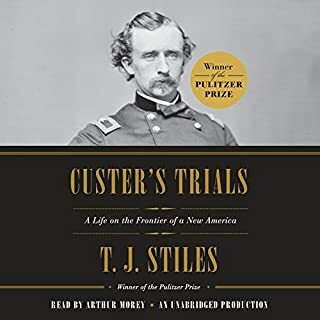 T. J. Stiles has done a masterful job of placing Custer within his time, even when Custer himself did not always feel comfortable in his time. It has to be the engaging, complicated, maddening and delightful Custer himself. His calm reading of the story enables one to remain objective about a subject that is anything but to most Americans. I listened to the final chapter 4 times - the inquiry requested of the military by Reno made for interesting listening and while some of it was complicated, it was enlightening. It resonates long after the read is done. 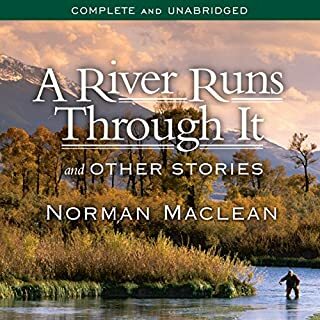 If you could sum up A River Runs Through It and Other Stories in three words, what would they be? Mclean's cadence; it is as nearly perfect poetry as prose gets. And the reading by David Manis is just right; not rushing but letting the poetry of it move along at it's own pace, somewhat like the river. Oh so many. They all come alive in your mind's eye . . . you can feel the cold, glacial water on your feet . . . the thirst in the final story . . . it's all there. I was wishing Mclean had started publishing and writing before he was 70 and that there were many more stories for me to read. I had actually read this in hardcover several years before and yet, (for one of the very few times in my life) it was better in audio book. You don't need to see the movie (though I understand why he made it). This is better, somehow more personal. 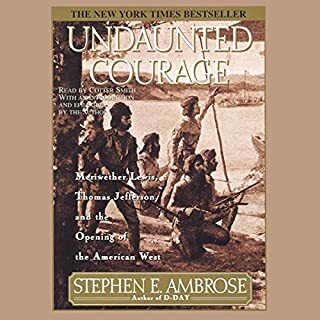 This is unquestionably one of the most important and interesting stories of early America and Stephen Ambrose has done an outstanding job of telling it. I have always been fascinated by this adventure, but I couldn't quit listening. In today's world it's very difficult to imagine this trip and the shear magnitude of what could have gone wrong. You will NOT regret purchasing it! Not enough history in my background. It wasn't wasted, but it would have been more productive if I had possessed the proper historical context for the details discussed. Would you recommend The Prince to your friends? Why or why not? I would say it is only for someone who has a good grounding in ancient and Italian history. He gives a very clear, reading of the material - I always enjoy his work. Do you think The Prince needs a follow-up book? Why or why not? If it does, it needs some ancient and Italian history, followed by a re-listen. The fault is mine, not the book's. Just trying to broaden my horizons, but I need some lower level broadening before I tackle this one again (which I just might do). Yes. It's the third part of a purported four book story line and I have been completely enthralled by it from beginning to the end of this part (listening to each book twice in a row). I can't wait for the last book. 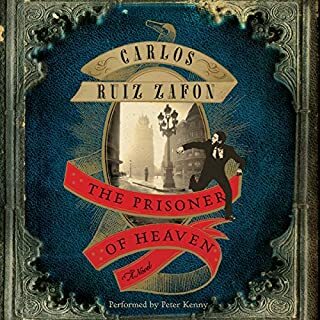 What other book might you compare The Prisoner of Heaven to and why? I'm not sure I have anything in mind to compare it to. Which character – as performed by Peter Kenny – was your favorite? Kenny's characterizations took some getting used to. I easily could have - I sat in my garage on more than one night, waiting for a better place to stop. My only negative comment would be that the narration was not as "fitting" as in the two previous books. Jonathan Davis is exquisite narrating The Shadow of the Wind and Dan Stevens did a good job with The Angel's Game (though after having JUST finished Shadow, Dan's voice took some getting used to). I have listened to Kenny narrate other books and like him, buy I was not a fan of his work here. It has been years since I loved a book this much! 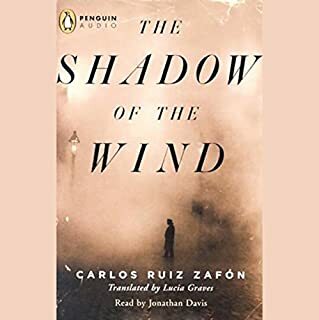 What made the experience of listening to The Shadow of the Wind the most enjoyable? The language is so beautiful - you are so beguiled by the descriptions - places, things and times I have never lived were brought into reality - I could see it all. What was one of the most memorable moments of The Shadow of the Wind? It's too hard to name one without spoiling one of several moments for the next reader. I have not, but this one was exquisite. I have started The Angel's Game - a different performer is doing that one and I normally love him as a reader, but for these stories, I can't imagine anyone being better than Jonathan Davis. I guess I had two - first, I was crying at the beautiful ending, and second, I immediately began to listen to it again. I had to make myself go on to another book after I finished it for the 2nd time!! I cannot believe I waited thirteen years to read this beautiful, mysterious book!